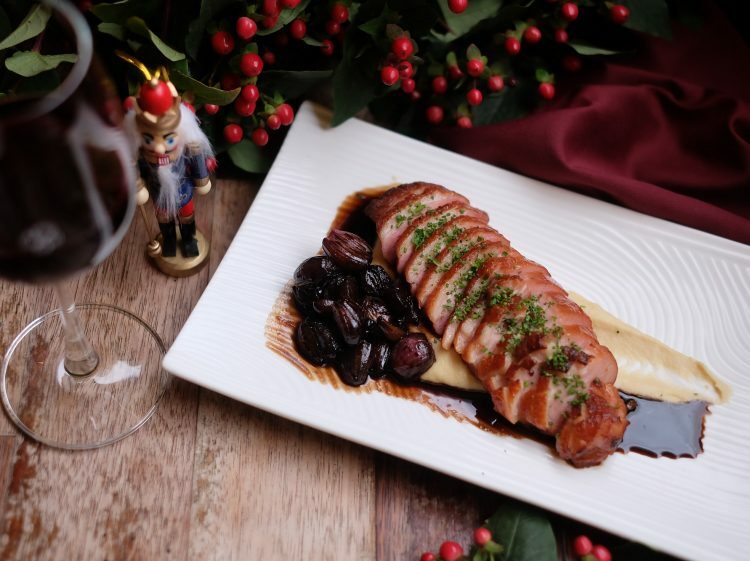 This festive season, El Mesón will be serving up a very special menu at both their Bangsar and Desa Parkcity locations. 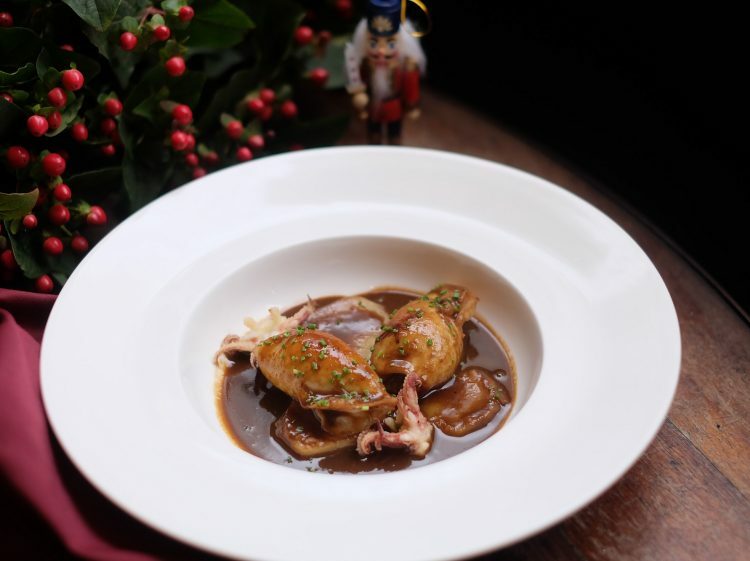 The Christmas menu is laden with sumptuous ingredients and festive flair, presenting more than a touch of holiday cheer into your meal. The 4-course menu is priced at RM118++ per person. Diners can look forward to delectable dishes like Alcachofas (confit artichokes with parmentier of roasted garlic and ham salt), Chipirones Rellenos (pork-stuffed squid with mushrooms and prawns with prawn and seafood sauce), and Bunuelos (turron mousse in choux pastry served with homemade chocolate sauce and raspberries). The main course comprises a choice of either Taco de Atun (taco of red tuna breaded with sesame accompanied by purple and orange sweet potato parmentier), Magret de Pato (smoked duck breast served with apple purée and confit shallots in balsamic Modena vinegar), or Chuletas de Cordero (French lamb rack with Brussels sprouts and baby corn served with yoghurt sauce and mint oil). 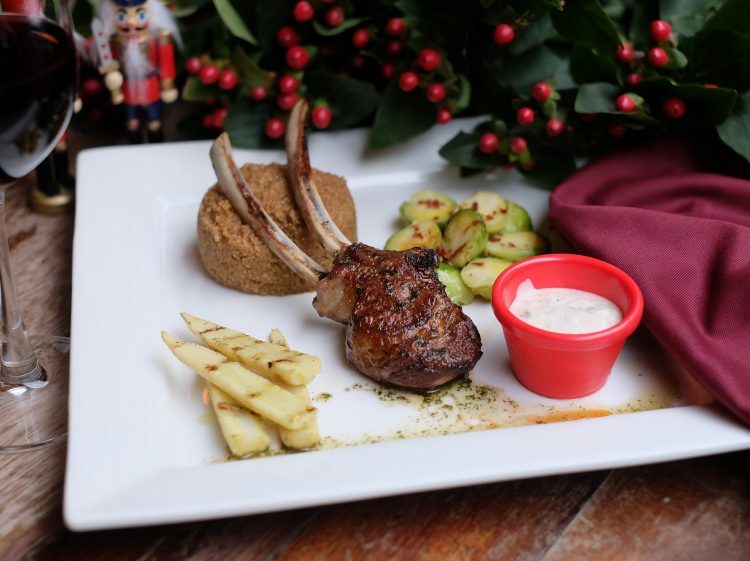 The delightful Feliz Feast Festive 4-course menu is available from 14 to 30 December 2018. The menu is non-halal. 61-63, Jalan Telawi 3, Bangsar Baru 59100, Kuala Lumpur (Bangsar) – El Mesón has been serving authentic and traditional Spanish fare since 2009. Besides well-loved Spanish favourites such as tapas, paella, and Sangria, it is also known for its porky delights, featuring pork chorizos, piggy in a blanket, Spanish “char siu”, jamón Iberico, its ultimate pork burger, and essentially everything else on the menu. Not forgetting the resident mixologists that are bound to capture your conscience in the heart of Bangsar Baru, this Spanish restaurant spearheads as one of the more commendable experiences you can find in Kuala Lumpur. Find: View directory for El Mesón Bangsar and El Mesón Desa Parkcity. Menu: To view the El Mesón menu, click here.